This is the picture I have as my background on my lockscreen. If you haven't noticed by my previous posts, I LOVE BEING A BLACK GIRL! Everything about us is dope and we celebrate those things. We being most black girls. We have to do this because society in general doesn't. Society tries to put us in these one dimensional and often times stereotypical boxes thay are annoying and insulting. I'm at Starbucks grabbing my berry sangria tea. Normally I order ahead, but today I forgot to do it, so I'm standing in the never ending line in front of these two white girls. We'll call them Becky and Sabrina. I recognize Sabrina because she's been in my old store a few times and we're friends on one of my social media sites. They were discussing the night before and how someone named Sarah broke girl code (They were spilling all of Sarah's tea lol). I had one headphone bud in and my phone was in my pocket. I went to take it out and my headphone cord got caught and I dropped my phone. Becky reached down and picked it up for me. Now maybe this is just an iPhone user thing, but why when an iPhone person picks up any iPhone, their first instinct is to light up the lock screen? You know it's not yours. Your know your fingerprint won't open it. As Becky picks up my phone she turns on my screen and sees my background. She locks eyes with me and she has this look that I can't read, but I really don't care to because I'm in Starbucks just trying to get my tea. I take my phone and turn around. As I'm fiddling with my headphones so I can get back to my music, I hear them whispering behind me. I glance back and I see them both looking at a phone and looking back at me. I can tell they're debating something, but it's not my business until Becky says, "Excuse me, can I ask you a question?" My foolery meter instantly goes into hyperdrive, but I try to give them the benefit of the doubt. 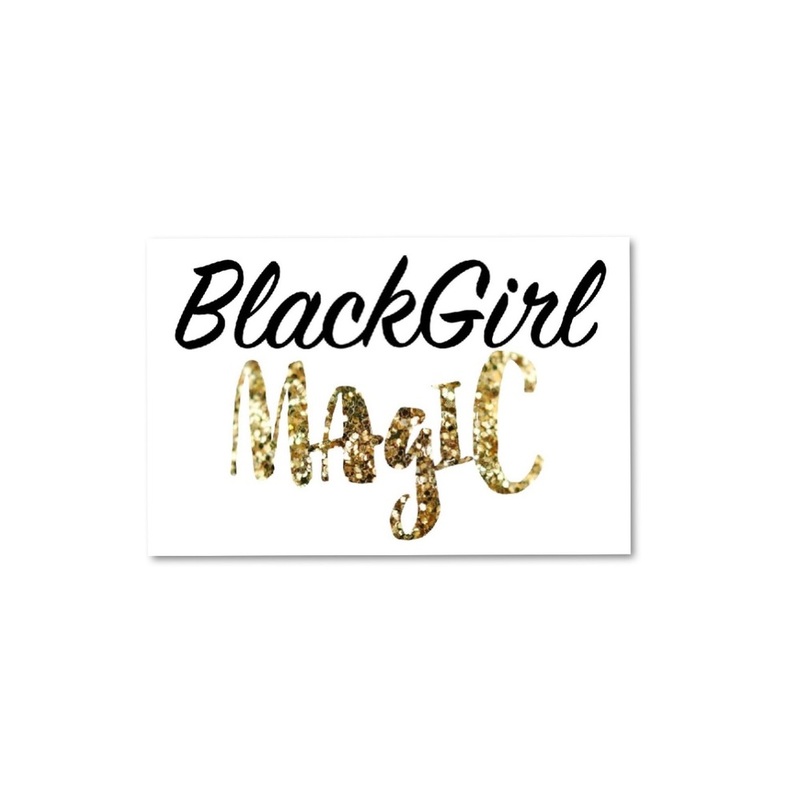 "What is Black Girl Magic?" I showed her the picture about and she says, "That's not fair. All girls are awesome. What about #WhiteGirsgic"? As I felt the sentence, 'Y'all want to be oppressed do bad' start to slip out, I held back and said, "Google beautiful women". As we looked at the sea of white faces and sprinkles of color, I simply said, "This is one of the million reasons why we have to say #BlackGirlMagic. Because we love in a world that doesn't tell us how dope we are, so we gotta tell ourselves."